Through a linkedin group, I came across a great 5 minute video with some simple, yet incredibly effective tips for leaders who wish to influence those around them. 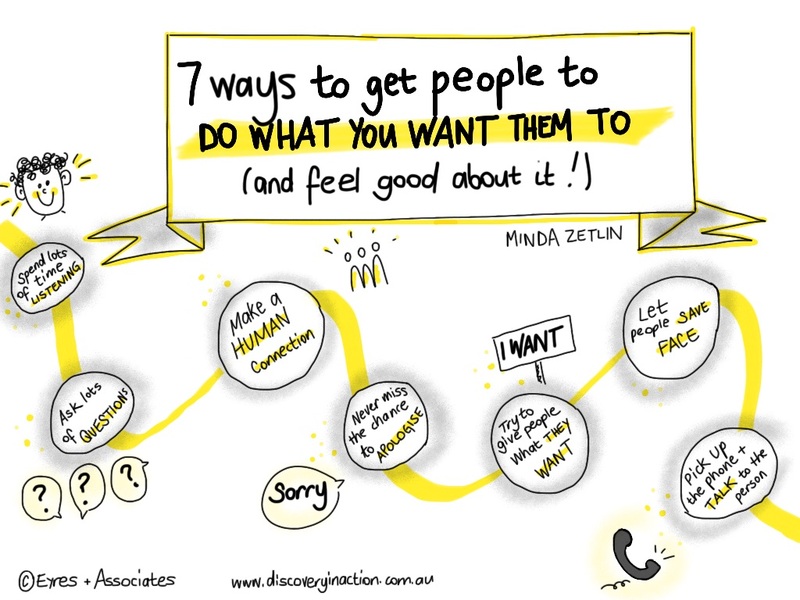 Minda Zetlin, an Inc.com columnist tells her story about leadership practices that she finds very effective in getting people ‘to do what you want – and have them feel good about it!’ Many tips may seem obvious, but there is a fine line between manipulation and influence! Hearing Minda describe these tips allows you to see the importance of authenticity – that all of her tips come from a good place – one with positive intention.